Literally millions and millions of benchmark results have been submitted to Futuremarkâs Online ResultBrowser database. It has become a point of great prestige to be the holder of the highest 3DMark score. A compelling, easy-to-use interface has made 3DMark very popular among game enthusiasts. Futuremarkâs latest benchmark series, 3DMark03 up-to 3DMark06, continues this tradition by providing a Microsoft DirectX 9 benchmark. The introduction of DirectX 9 and new hardware shader technologies puts a lot of power in the hands of game developers. Increasingly realistic 3D games will be available over the next year and a half. The use of 3D graphics will become more accessible to other applications areas and even operating systems. Mind you that benchmarks will differ per system, a quad core processor would have had a good influence of the 3DMark06 results. 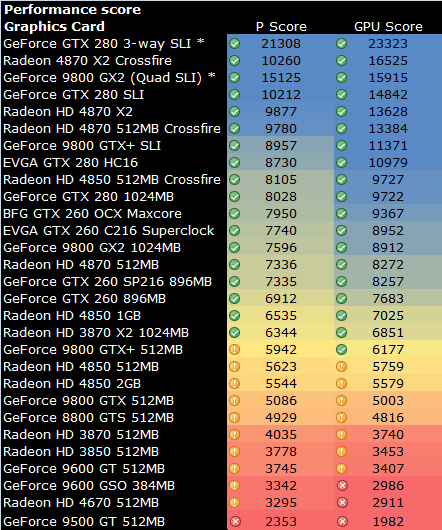 The graphics tests will have four quality presets available: Entry, Performance, High and Extreme. Each preset specifies a certain setting for the rendering options listed in section 5.6. The graphics load increases significantly from the lowest to the highest preset. The Performance preset is targeted for mid-range hardware with 256 MB of graphics memory. The Entry preset is targeted for integrated and low-end hardware with 128 MB of graphics memory. The higher presets require 512 MB of graphics memory, and are targeted for high-end and multi-GPU systems.